Assignment for the Benefit of Creditors or Business Bankruptcy? (ABC) Viewed as an Effective and Less Costly Alternative to Bankruptcy for the Liquidation of a Business. It was reported on February 12, 2007 in the National Post (Canada) by Columbia Professor Edward Morrison, that using state insolvency systems is faster and less expensive in most cases. Professor Morrison said, "It's a much less public event than a federal bankruptcy filing, and thought to be very quick and relatively cheap." In a study of failed Dot Com Companies, Professor Ronald J. Mann argued that "states can improve the efficacy with which the assets of failed firms are redirected to profitable uses by adopting procedures that are more hospitable to ABCs. These procedures, the data suggest, should redirect a substantial number of failed firms from expensive and protracted bankruptcy proceedings to more expeditious proceedings conducted under the protection of state court 1. What is an ABC (Assignment for the Benefit of Creditors)? Black's law dictionary, Fourth Edition, defines a general assignment for the benefit of creditors as "...a transfer of legal and equitable title of all debtor's property to a trustee with authority to liquidate the debtor's affairs and distribute proceeds equitably to creditors." The assignment process is the same as a liquidation under Chapter 7 of the United States Bankruptcy Code, however, as the above studies suggest, it is significantly less expensive than a Chapter 7. Each state has its own statutes pertaining to the making and governance of general assignments. This process works as a liquidation of all of the assets of an Assignor (Company in financial difficulty). The transfer, in theory, benefits all creditors by placing the property out of the reach of the assignor's creditors and prevents direct enforcement remedies. The disadvantages are that there is no discharge and no ability to re-organize; it does, however, result in more being left for the unsecured creditors. The assignees are usually individuals experienced in the process of liquidating that specific type of business, are familiar with the industry, and usually have contacts in the industry which are able to find potential buyers who will maximize the price for either the business as an on-going concern, or for the assets alone. It is not unusual that a prospective purchaser has been found before the assignment is made. The compensation to the assignee is a maximum fixed percentage, and there are not generally any surprises in the fees. In New Jersey, as an example, the percentage is twenty percent. This gives the assignee plenty of incentive to find the best price. This also takes the amount of the assignee's fees out of the court's discretion, even in the states where there is a great deal of court involvement. In many instances, the assignment process is not one to which creditors are required to consent, but are instead required to file a claim with the assignee in order to share in the proceeds generated from the liquidation of the debtor's assets. It is generally recognized that the assets can be sold quickly and to one purchaser, and in certain circumstances, the business can even be run for a short period of time. This is all done without direct court supervision, without a trustee and without a host of different expensive professionals. There is no oversight with the U.S. Trustee's office and there are no complicated expensive ) reporting requirements. Care, however, should be taken to determine all the implications of any such decision before making it. Of course, creditors can challenge the validity of an assignment, and may even seek the removal to Bankruptcy Court by filing an Involuntary Petition with the Court in the district. The creditors doing this have to be quite careful about whether or not filing an involuntary petition is being done in good faith. If the creditors pursuing this remedy are also intending to become competitors in the future, this could appear to a bankruptcy court to be "bad faith", which could expose the creditor or creditors to punitive damages. The assignee , in the early stages, marshals inventory and gains control of all of the debtor's assets. He or she also gains control of the books and records, and interviews the president of the company. The assignee will ascertain the existence and value of the assets. The assignee, in selling the assets, will either do it by public sale or possibly negotiate the sale to a ready buyer. The assignee early on has had to make sure that there are no perfected liens on those assets. After the sale, the assignee waits for the claims to be filed and, shortly after the expiration of the time period to file claims, makes the distribution and closes the case. I was recently involved in an assignment that was 'text-book perfect". The assignor had $50,000 in the bank account, $100,000 in collectible receivables, and an inventory that was saleable. The sale of the inventory generated $85,000 at a public auction. 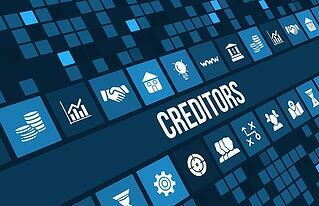 The outstanding unsecured creditors amounted to a total of $350,000. By New Jersey Statute, the maximum amount to the assignee was $47,000 (20%), and there were other professional fees under $10,000 consisting of an Auctioneer, Accountant and Appraiser. This case paid a dividend to the unsecured creditors of over 50%. Another case concerned a foreign Parent company with subsidiaries operating in the USA which were no longer profitable due to the downturn in the economy. After careful consideration, management decided to file an assignment for the main operating company; the assignee liquidated the assets and realized a net estate of $180,000. It is anticipated that there could be a dividend of twenty percent because there were no secured creditors. In an assignment, a good lawyer can achieve many legal benefits for his or her client by negotiation with the creditors in advance. I was named the assignee in a case in which the business was profitable and the principal of the company had guaranteed the secured loan on all the assets of the company. The business was negatively affected when the cost of the major component of what the business manufactured doubled. The attorney for the assignor found a buyer for the assets at a certain price, and then approached the bank. Because the bank knew the value of the assets on the auction block, it accepted an amount that was fifty percent of the loan balance. This amount left enough to cover not only my fee, but also left a sum totaling $50,000 for other creditors. As part of the agreement, the bank agreed to release the guarantor from the loan. This was a great outcome for all concerned. Sales can be made quickly to independent third parties or to a new business entity that is owned by the existing shareholders. The interested parties maintain a good comfort level due to the fact that the assignee is generally compensated at a fixed percentage amount, which provides incentive for the assignee to try to maximize the price. In my experience, this process is completed in less than nine months, which results in significantly lower legal and other expenses than in a comparable sale through bankruptcy. Contact us today for your business legal needs. 1 "Empirical Investigation of Liquidation Choices of Failed High Tech Firms", 82 Wash. U.L.Rev.1375 Winter 2004.